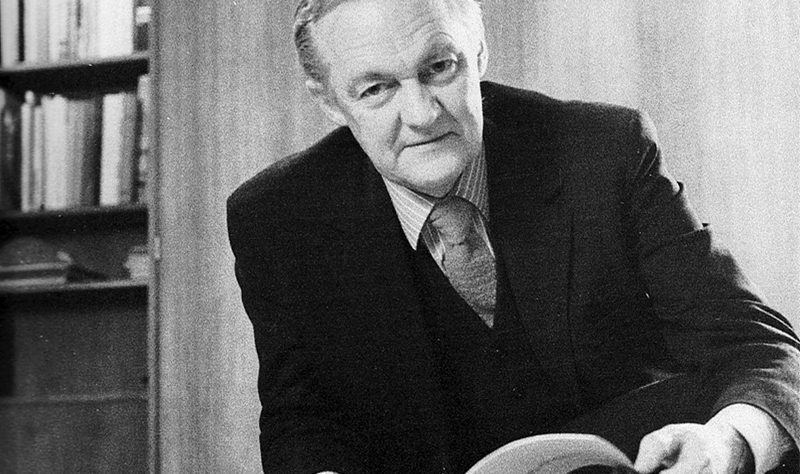 Robin Boyd is one of Australia’s most famous architectural writers. He was responsible for creating an open dialogue between Australian architects about our sprawling suburbia, and was a great interpreter of architectural language to the common people. While he did have a career in the practice of architecture, he was far better known for his opinions and savage critiques of other people’s designs. When Boyd was studying architecture, he was considered a mediocre student, and when he was asked what he did when his teachers/peers didn’t like his design he said “That’s easy, I simply talk them round to my point of view.” He was known for being extremely polite in person, but as soon as he took pen to paper he became quick witted, cheeky, and humorously offensive. Nick-named “Razor Blades”, his writing got him into trouble on more than one occasion for being too insulting, but this is what made him great. Boyd’s book, The Australian Ugliness (1960), observes the continuing sprawl of Australian suburbia, and its effects on our architecture. While Boyd was not necessarily “anti-suburban”, he did make it very clear that he did not like how it was being done. He was deeply disturbed by the visual pollution of mass commerce, and imitation. He was both fascinated and repelled by the United States and believed that, in Australia’s identity crisis in the 1950’s, we were imitating the U.S. “like a little brother copying his big brother without realising what he is doing”. He also stated that “there is a difference between being stimulated by ideas from another country, and copying the detailed shape of its thinking and its fashion.” He believed Australia needed to discover its own identity, and was considered un-Australian for pointing out our flaws, although it wasn’t long before The Australian Ugliness became a best-seller. 58 years on the book is still relevant. The fact that here in Perth, our metropolitan area stretches from Yanchep to nearly 2 hours south to Mandurah, proves his point. He saw a great need to densify our suburbs to decelerate this sprawl into the abyss, and even over half a century later we still face this challenge: to persuade the general public that medium and high density living can be a positive thing. Boyd valued function over form, whereas our current society seems to value neither. Today it’s all about ‘bang for your buck’ and quantity over quality. Today’s society values the resale value of a house more than the enjoyment the owners get from living there. We have triple garages, and 3 living rooms, and 5 bedrooms, and en-suites, and 12 seater dining tables, and indoor and outdoor kitchens, and whole rooms just for our washing machines. None of it is necessary and none of it aids in simplifying our lives, in fact it does the opposite. We spend more money and time on maintaining and cleaning these unnecessary parts of our houses than we do actually living in them. We have been sold this idea of the ‘Australian Dream’. We feel we have to have the quarter acre block with the massive house painted in the same shade of grey as our neighbour. Our suburbs have become, what I like to call, a Where’s Wally of houses, and I find myself playing spot-the-difference with houses when I’m driving though Perth’s suburbs. I admit that even myself was once caught up believing that bigger was better. But since I have read Robin Boyd’s opinions I have started to think more critically of my surroundings. I look at my house with its 2 living rooms and wonder “why can’t we all sit together and watch TV?”, I look at my enormous 12 seater dining table and ask myself “we never even sit at the table to eat, so why do we need this?”, I look at my kitchen and its 2 ovens and think “I don’t think I’ve ever seen both of those on at the same time”. This was the aim of Boyd’s book: to challenge our thinking and in doing so, hopefully change the future. Robin Boyd was not widely known for being the best architect, in fact he himself said that he would never answer the phone on a rainy day for fear it would be a client complaining about a leaking roof. Although he was better at the broad brush strokes rather than the finer details, a lot of his principles and practices when designing homes for clients should be encouraged to be used by all architects. He never did the same thing twice, he had strong views about people who unnecessarily cleared land to build, calling them “tree-haters”. Each of his designs was completely unique in itself, and while I think there is a time and a place for mass produced design, I think when it comes to suburbia, you should be able to clearly identify your own house from your neighbours. One of Boyd’s clients spoke of the home Boyd built for them: “It was nothing like what we expected, yet everything we wanted”. Boyd was able to surprise his clients, and through his good communication skills, understood their needs and integrated them into his design. This is what a home is. It is designed with love, for the clients to love. It was clear that even though Boyd’s designs were nowhere near perfect, he had a real passion for architecture which bled into his creations. This is what a lot of architecture today is lacking: passion. Every architect begins their career with this passion. We leave university wanting to design buildings that aren’t just buildings, they’re artwork, they’re a piece of our soul on paper. But somewhere along the way we lose this passion. We get caught in the crowd of a large company doing the same job every day. Things become impersonal. Everyday becomes Groundhog Day: you wake up, you go to work, you satisfy the client as quickly as possible, you go home, you go to sleep, and then you repeat it all the next day. Everyone seems to want the same thing so we pump out these mass-produced designs which end up cluttering our suburbia. So, what is the solution? It’s always easier said than done, but with every decision we make as architects, maybe stop and think “What would Boyd do?”. To simply put it, treat every client like they’re your friend. Get to know their likes and dislikes, their necessities, their personalities. Steer them away from the bad ideas and towards the good ones, but also stand up for your own expert opinion. Have the balls to point out that the extra bedroom is unnecessary, that they don’t need two living rooms. Take a lesson from Boyd and don’t let someone else’s opinion change your design (unless if you truly believe it), convince people that your point of view is correct. Don’t fall trap to laziness, don’t clear every tree just because it’s easier, and steer people away from the ‘bigger is better’ attitude. And above all, never do the same thing twice. Learn to surprise your clients. Don’t give them what they expect, give them what they want. Adams, Philip. 2010. “Robin Boyd’s The Australian Ugliness 50 Years On”. Podcast. Late Night Live. http://www.abc.net.au/radionational/programs/latenightlive/2010-03-31/3111486. Boyd, Robin. 1960. The Australian Ugliness. Melbourne: F. W Cheshire. Robin Boyd Foundation. 2017. 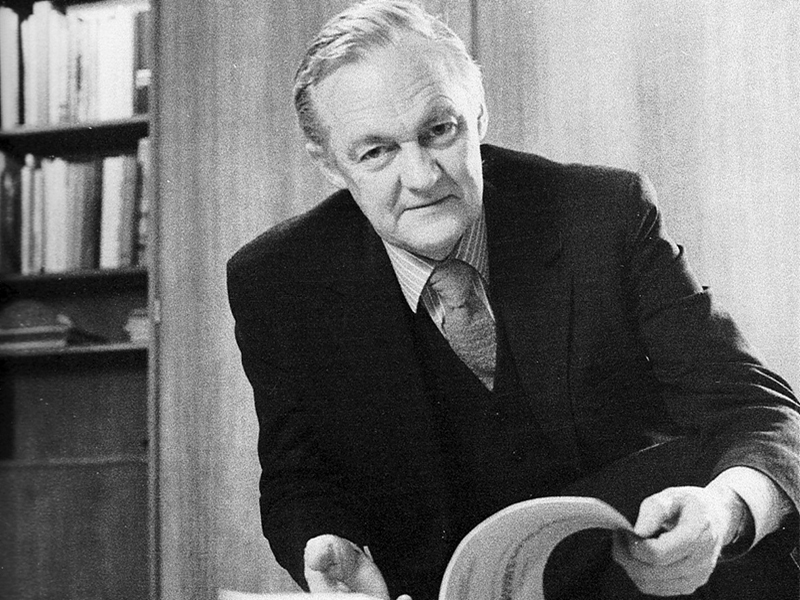 “Robin Boyd Foundation”. Robinboyd.Org.Au. https://robinboyd.org.au/. Oana Stanescu on nakedness, her +POOL project and why we shouldn’t be afraid to talk about cancer.